Pictured: Chris O'Donnell (Special Agent G. Callen). The team investigates a burglary at a cyber-security company, but Callen must steer clear of the crime scene after Hetty reveals his girlfriend, Joelle, is one of the lead witnesses. 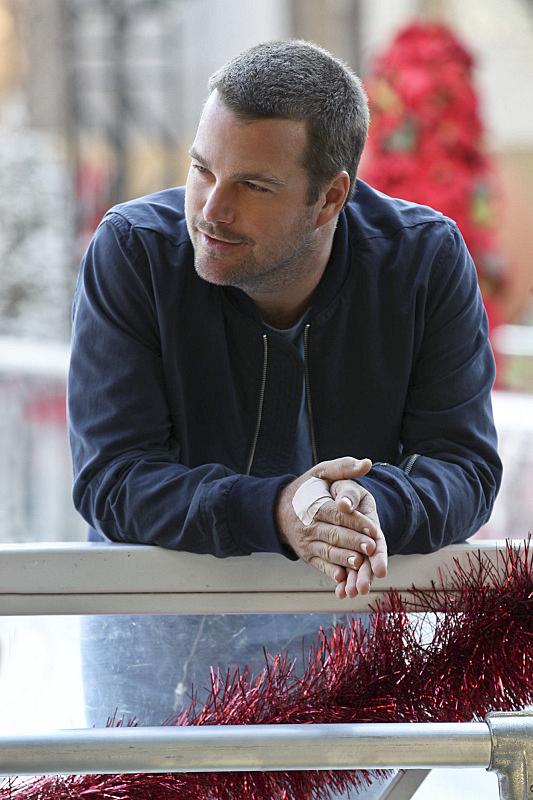 Also, the team discusses their personal holiday travel plans, on NCIS: LOS ANGELES, Monday, Dec. 15 (9:59-11:00 PM, ET/PT) on the CBS Television Network. Photo: Sonja Flemming/CBS ©2014 CBS Broadcasting, Inc. All Rights Reserved.